A new initiative will hold an initial coin offering (ICO) for the production of an industrial material using green technologies – creating the “first” commodity-backed cryptographic token in the process. 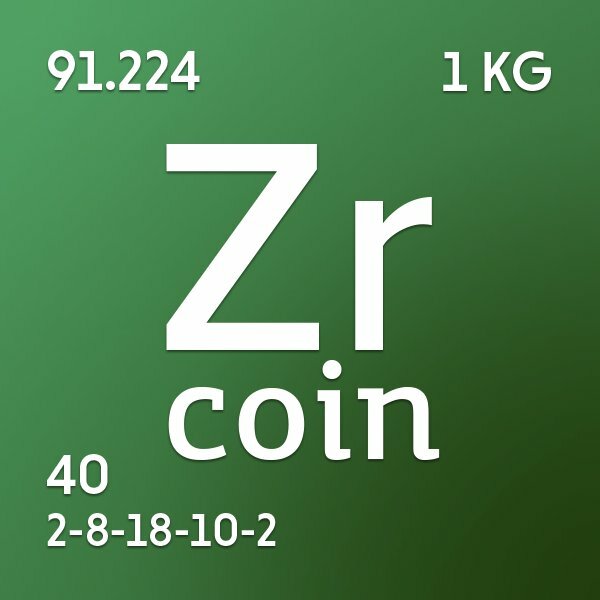 Called ZrCoin, this will be a derivative – and with the option to buy an equivalent amount of synthetic Zirconium Dioxide (ZrO2). The latter may not have much to do with fintech but it is a product used as a refractory material in numerous different manufacturing processes. Funding for a new production plant will be secured by a crowdsale of the ZrCoin token. The team of scientists and industrialists, led by financial analyst and blockchain expert Andrey Nikonorov, has developed a new green process for producing ZrO2 from waste materials, rather than extracting it from existing or newly-discovered deposits. According to the team, ZrCoin will be the first major globally traded blockchain security that is backed by a real commodity. The project is to be built on a framework provided by Waves Platform – a Moscow-based firm headed by CEO and founder Sasha Ivanov. Because the value of ZrO2 is priced in US dollars and is “relatively stable”, ZrCoin says it will have protection from the volatility that is “otherwise endemic” in the cryptocurrency world – making it a “safe haven” asset for traders. Moreover, investors can receive their money back at any point after the end of the ICO. The ZrCoin ICO will seek to raise a minimum of $3.5 million. Waves Platform is a decentralised blockchain platform that allows any user to issue, transfer, swap and trade custom blockchain tokens on an integrated peer-to-peer exchange. Last year, it crowdfunded 30,000 Bitcoins at a market value of $16 million. According to the firm, almost 6,000 investors from the Bitcoin and cryptocurrency community received Waves tokens in proportion to the amount deposited. Waves says it is one of the largest ever crowdfunding projects, and the third largest in the history of blockchain. To get the level of interest a fintech needs to be successful, it’s vital to spend a lot of time focusing on messaging.